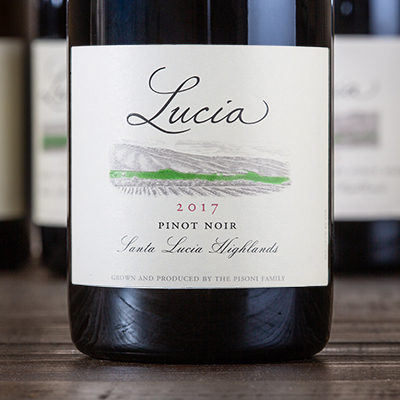 A beautifully pure expression of this varietal, the 2017 Santa Lucia Highlands Pinot Noir sings with the greatest notes of each vineyard from which it was born (the Garys’, Soberanes, & Pisoni Vineyards). Shielded amongst a brilliant youthful ruby hue, waves of Bing cherry, violet, and sandalwood spice escape into the glass as this wine takes its first breath. On the palate, this wine stuns with the complexity and focus of one of its single vineyard siblings. The main act showcases bright notes of raspberry and strawberry cream paired with more elegant flavors of sage and baking spice, which open the curtain one last time for an encore of focused acidity and a layered, lingering finish.